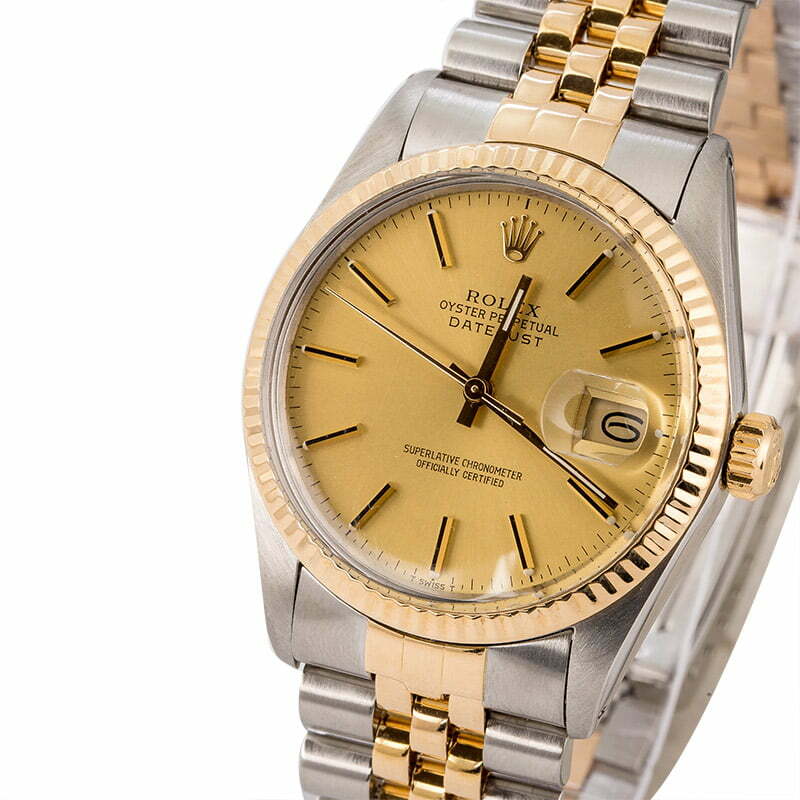 This used Rolex watch is in very good condition with only few light surface scratches as well as some moderate stretch to the bracelet consistent with age. The first Rolex Oyster Perpetual Datejust debuted at the brand's 40th anniversary Jubilee and featured a striking yellow gold finish, a fluted bezel, a five-link Jubilee bracelet, and a jump date on the dial. 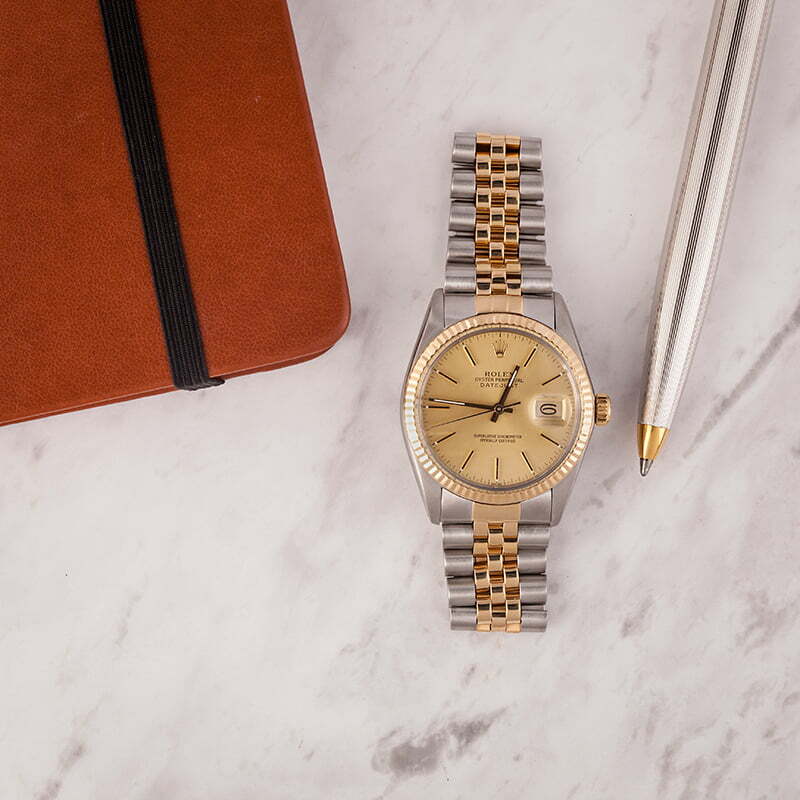 Several decades later, the core design of the Datejust remains but with a handful of modern upgrades. 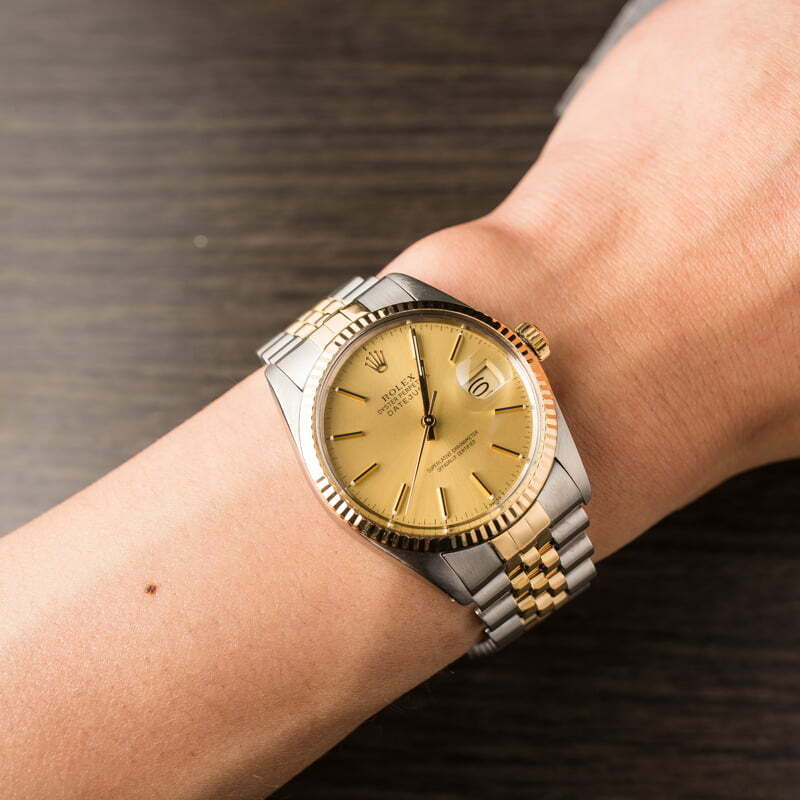 The used Rolex 16013 is a vintage variation of the line that was produced for a while in the 1980s. 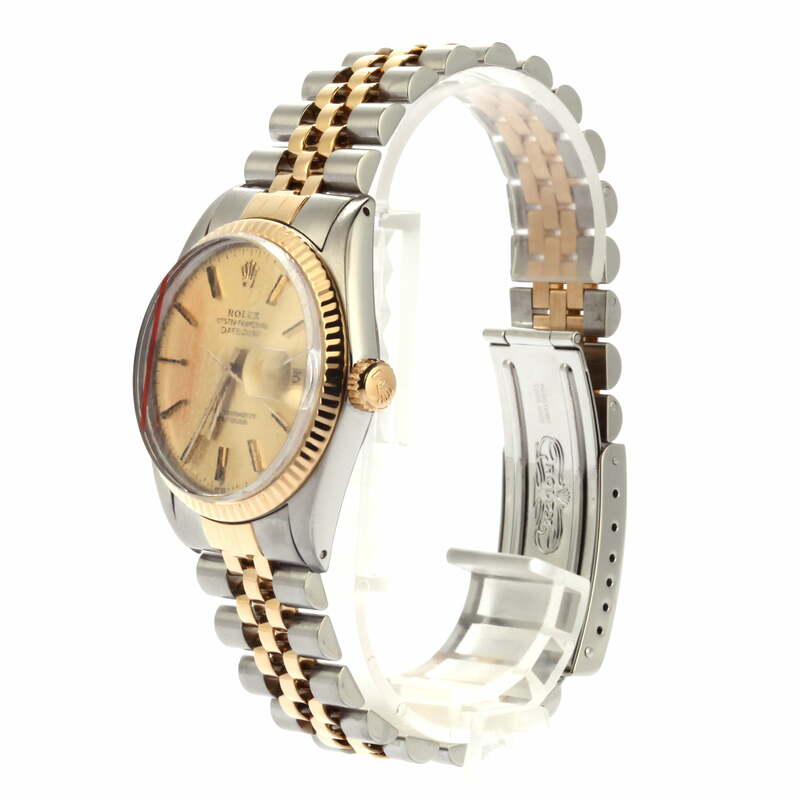 Its feature set includes a steel and gold finish, a 36mm waterproof Oyster case, and a calibre 3035 perpetual movement. 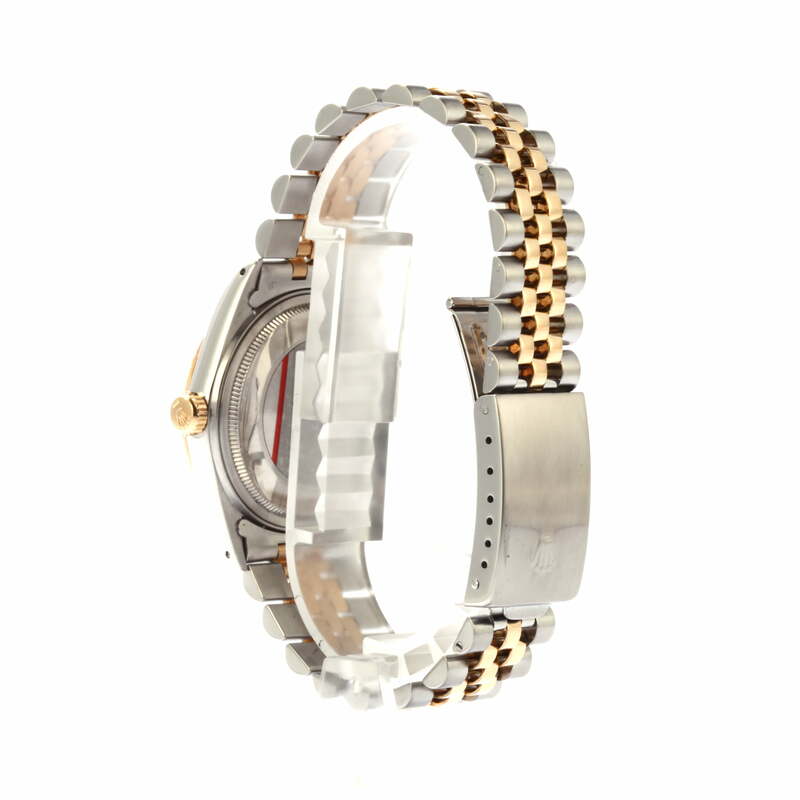 The case is outfitted with an acrylic crystal and a waterproof screw-down crown, protecting it from moderate wear and allowing the movement to maintain a highly reliable reading.